Last night, outside my window there was drumming, singing and firing of rockets (fireworks? guns?) until pretty late in the night. At breakfast, Mrs. Mukherji told me that what I had heard was a wedding. There is a community centre outside my window. She also told me about the Taiwanese custom of eating a monkey’s brain while it is still alive. The family she lived next to in Taiwan used to do this during parties. They kept monkeys in cages at the top of the house and would use them up one by one. “How can people do a thing like that?” she asked me. I couldn’t answer her. I started thinking about the things that happen to animals inside huge “agribusiness” farms. I told her that I came here to learn about the thought process behind a social innovation. How can we get students to become innovators? That is what I wanted to learn. At the Ghosh house, Pradeep told me he had been waiting to challenge me about something since he read my first blog post. And he did. I nodded. I knew. It was something that had always bothered me. Specializing in this way, in systems, has changed me. It has changed how I look at things. I am less open than I used to be. I have stronger convictions about the ‘right way’ to do things. Pradeep challenged me to move beyond this box; to step out of this safe area and let myself think openly. I thought about what he said then and am still thinking about it now. That is all I will say at the moment. You can be sure that there will be more to come. Then, he gave me another challenge. Tomorrow I will talk about the McMaster Social Innovation Lab in front of a class of Management graduate students, the college’s director and some professors. After lunch (dal [lentil soup], potato curry and river fish with rice), I again boarded the bus with Shibani. Today was my last day at the museum school. The children and I were walking through the exhibits when the museum, lit naturally, suddenly turned dark. Heavy rains had come and clouds make the sky dark. 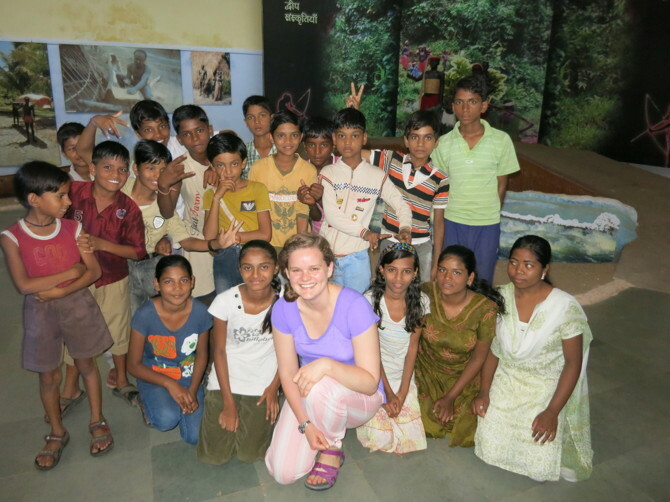 I had wanted to say a proper thank you and goodbye to the children but our time was cut short. The claps of thunder seemed an appropriate end to the kind of day it had been. We scurried back to the bus. In the past twenty-four hours, many things have knocked me off balance. I feel lost, but good. This is what I travelled here for – to be sent spinning. When I first emailed Pradeep, I told him that I was willing to have my ideas about social innovation ‘proved wrong’. He said that this was the most important part of my application. Where from here? We will see. 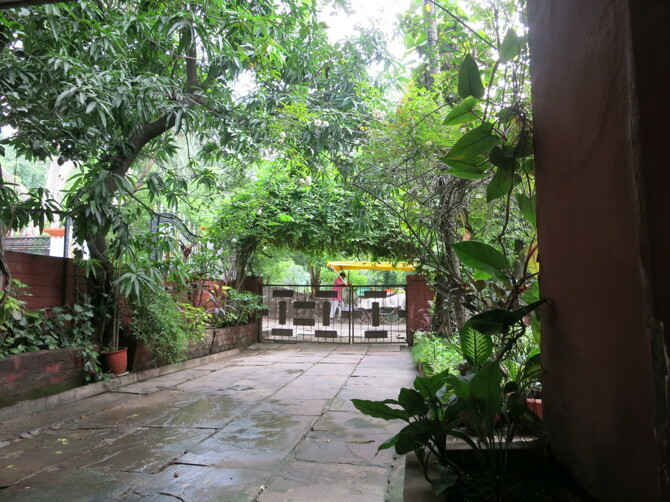 This entry was posted in Stories and tagged bhopal, complexsystems, museum, oasis, socialinnovation. Bookmark the permalink.